Well, the people of Hull are currently being far from dull by marking the 200th anniversary of the birth of Charles Dickens with the Humber Mouth literature festival. 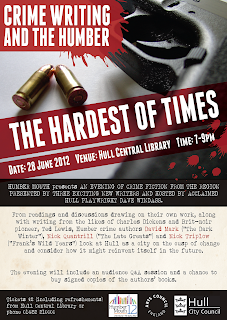 On Thursday 28th June, the festival hosts a cracking looking event : Crime Writing And The Humber- The Hardest Of Times. 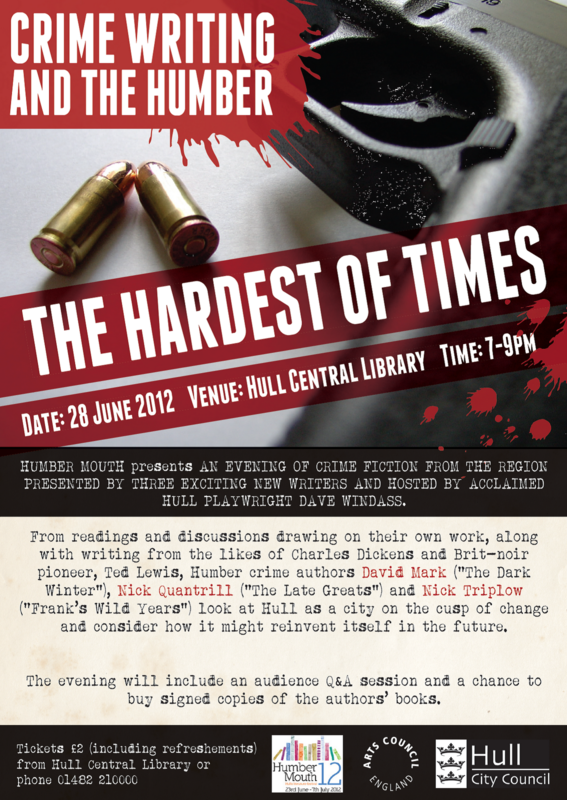 Nick Quantrill, author of Broken Dreams and The Late Greats, Nick Triplow, whose first novel Frank's Wild Years was published earlier this year, and David Mark, author of The Dark Winter, have a natter about Hull, crime writing, Ted Lewis,Chaz Dickens and more. Humber Mouth are also the people behind Hard Times and Great Expectations- a mean and moody short film adapted from Nick Quantrill's aforementioned début crime novel.